NeuroMama has grand ambitions to become the search engine, social network and e-commerce platform of the future. The little-known company also wants to build 39 casinos in Mexico and a power plant that generates enough electricity and water to satisfy 10 million people. NeuroMama's (NERO) stock has also raised eyebrows, soaring 463% in just the past eight months. NeuroMama now sports a market valuation of $35 billion, roughly the same as Tesla (TSLA), the electric car company transforming the auto business. 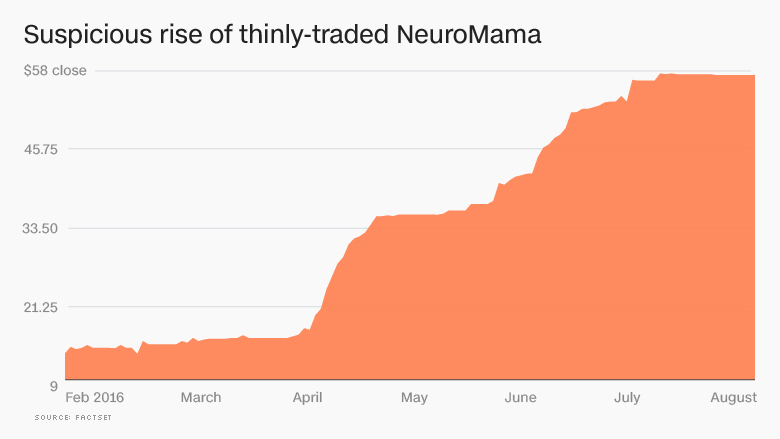 But here's the problem: NeuroMama hasn't reported actual financial results since 2013, when it listed just $4,721 in assets, and the U.S. government suspects its meteoric rise is being fueled by foul play. This week, the Securities and Exchange Commission suspended trading in NeuroMama, which has the ticker symbol "NERO." The agency cited concerns about the "accuracy and adequacy of information in the marketplace" about who controls NeuroMama's operations and "potentially manipulative transactions in the company's stock." Steven Schwartzbard, who is listed as NeuroMama's chairman, did not respond to requests for comment. Calls placed to the Baja Mexico office of NeuroMama went unanswered. 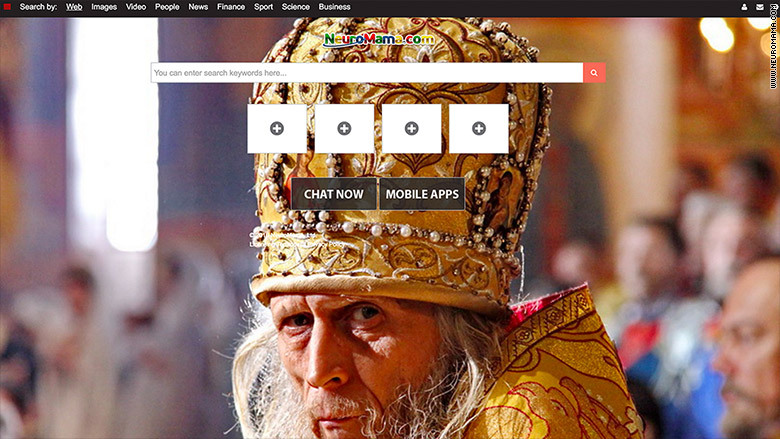 The company previously listed its headquarters in Russia. Related: Stocks are hot again. But are they too hot? NeuroMama is the latest example of the risk facing people who invest in stocks that are not traded in the stock exchanges registered with the SEC, such as the NYSE or Nasdaq. These over-the-counter trades, otherwise known as pink sheet stocks, are at the heart of real financial crimes depicted in the Wolf of Wall Street movie starring Leonardo DiCaprio. Unlike ones listed on the exchanges, these stocks are thinly traded, making them subject to extreme volatility often caused by rumors and speculation. Pink sheet companies also don't need to adhere to the same high levels of reporting requirements. "Pink sheet stocks have the opportunity for real returns because they tend to be smaller cap companies and illiquid. But you also have the potential for real fraud," said Charles Whitehead, a law professor and director of LawTech at Cornell University. "There are real risks here." The SEC has accelerated efforts to root out potential fraud among pink sheet stocks that mislead investors. The agency has halted trading in roughly three dozen stocks so far this year alone, underscoring the increased attention being paid to the problem. A screen grab from NeuroMama's web site. Related: Stocks are quiet. Is this the calm before the storm? NeuroMama is the latest. 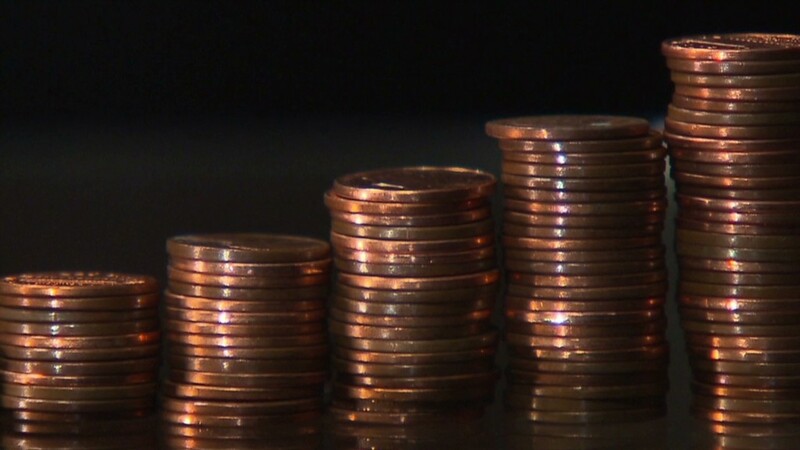 The SEC said it's concerned about "false statements" made to investors. Specifically, the SEC action was triggered by evidence that NeuroMama may have misled investors by telling them it is in the process of getting listed on the Nasdaq Stock Market, people familiar with the matter tell CNNMoney. In fact, the company's website calls itself a "hot Nasdaq stock." "Now that's serious. Someone may try to goose up the market cap of a stock by putting out rumors about listing on the Nasdaq," Whitehead said. "$35 billion is somewhat of a made-up number and may be a reflection of the fact there was manipulation," Whitehead said. He explained the figure may have been inflated by wacky, off-market deals. NeuroMama's amateurish corporate website should be a red flag in itself. Riddled with grammatical mistakes and spelling errors, the corporate description reads like a cross between a self-help book and a shady Craigslist ad. "Money, it's true, can't buy love...but not having money can certainly destroy it," one section of the site reads. It continues: "Let us begin to make our dreams -- our good, old fashion (sic) money making dreams -- come true better than either of us ever dared imagine." Those dreams may now be on hold, perhaps indefinitely.